First off, letting children get messy sparks creativity and curiosity. Children are naturally wonderful at asking questions, so being able to experience something for the first time and get messy with it is a great way for children to discover more than they ever would before. It is also a great bonding experience with other children due to the fact that they are all having this fun, messy and memorable time together. They are able to talk about what they are doing and work together to create something brand new. This is a positive learning environment for all children involved, especially when they are able to share ideas with one another. Additionally, when children are exploring with messy materials, there is essentially no end goal or finished product, so to speak. This allows children to freely explore, while creating and recreating to their heart’s content. While this creative flow is happening, children are less likely to feel a sense of failure because they don’t have any expectations to meet or an end goal to achieve. This, in turn, helps build confidence in children, letting their imagination run wild. In the same way that messy play is a confidence booster, there is also honest self-expression happening. Because there is no “right” answer when it comes to messy play, this allows children to create in a way that works best for them. This is also a way to see how children think and use their problem solving abilities. 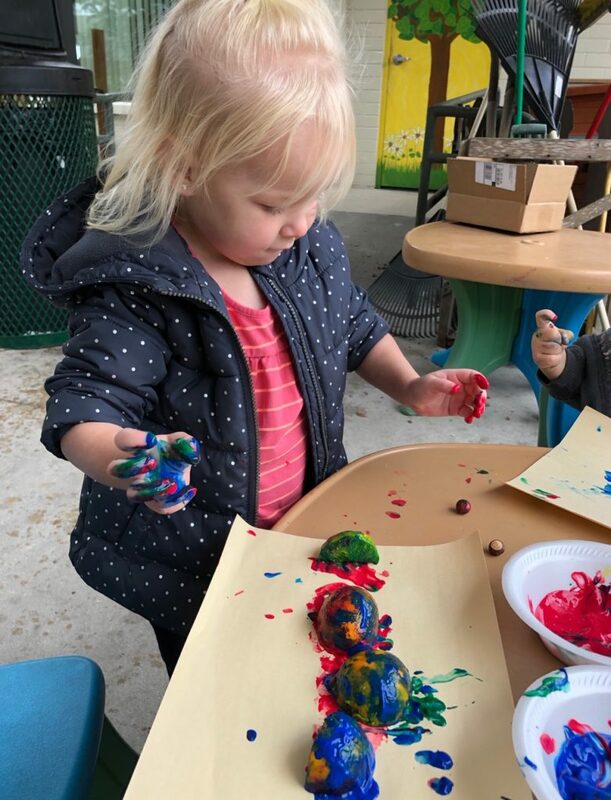 A teacher or parent may learn something new about their child that they didn’t know before based on how they play and create with the messy materials provided. Lastly, getting messy encourages fine and gross motor skills as well as improves communication. Fine and gross motor skills are small and large muscle movements, respectively, that are crucial to a child’s development. Painting, kneading playdough, building with blocks, etc. use fine muscle movements while jumping in puddles, crunching on acorns, getting sand for sand castles, etc. use gross muscle movements. While motor movements are important, communication is just as vital. 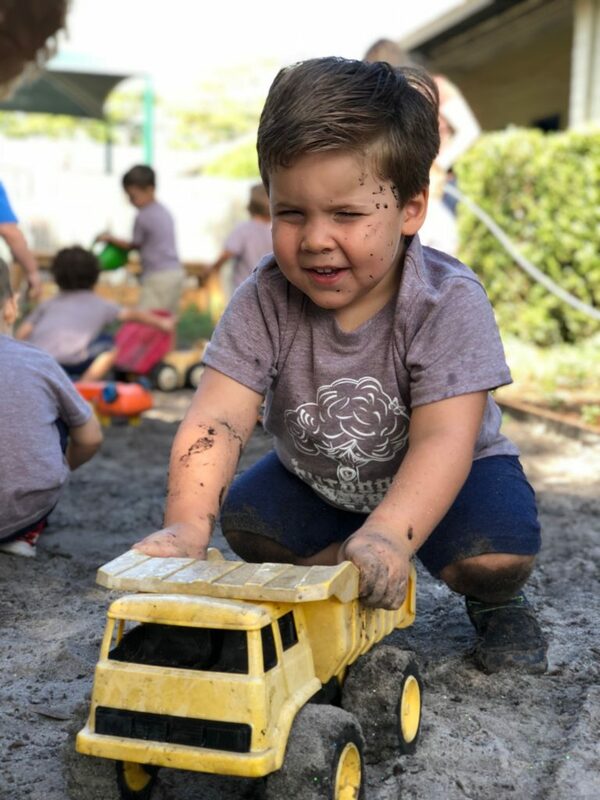 The words and phrases children learn while exploring with messy materials are things they may not have learned if they weren’t getting messy. In the end, parents and teachers, let your children get messy! You never know what they might create or discover! Bath Time: Now you might be thinking is the opposite of messiness, however it is a type of sensory play where children are able to splash around, use their imaginations to create stories with their toys all the while making a “mess”, even though they’re actually getting clean. Making a mess doesn’t always mean one has to get dirty! Playdough: Whether it’s homemade or store bought, this is a wonderful way to engage sensory play, fine motor skills & messiness all at the same time. There are endless ways to create with playdough. 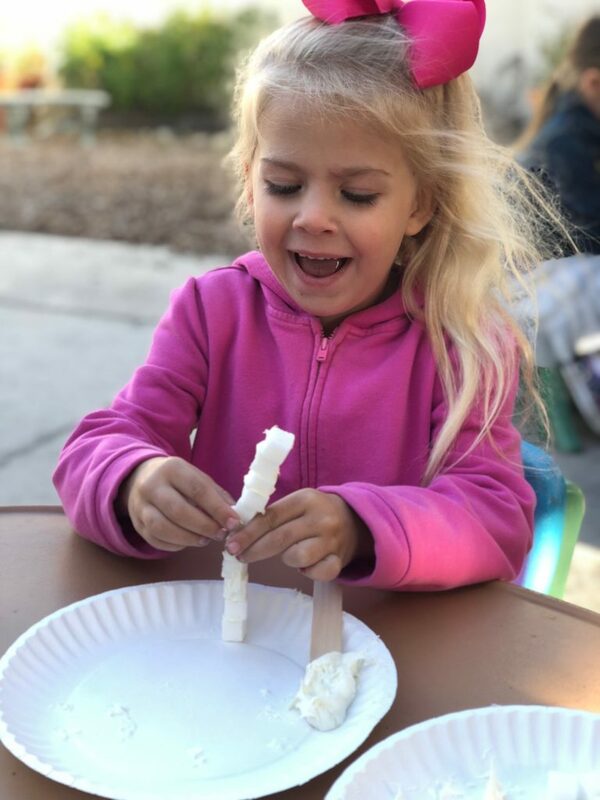 Shaving Cream: This is usually safe to spray on smooth surfaces like plastic or a baking pan, but it’s a great tool to help children with practicing their letters & shapes or creating a story to draw out. To make this activity more fun, add food coloring or glitter. Kids absolutely love getting messy with shaving cream! 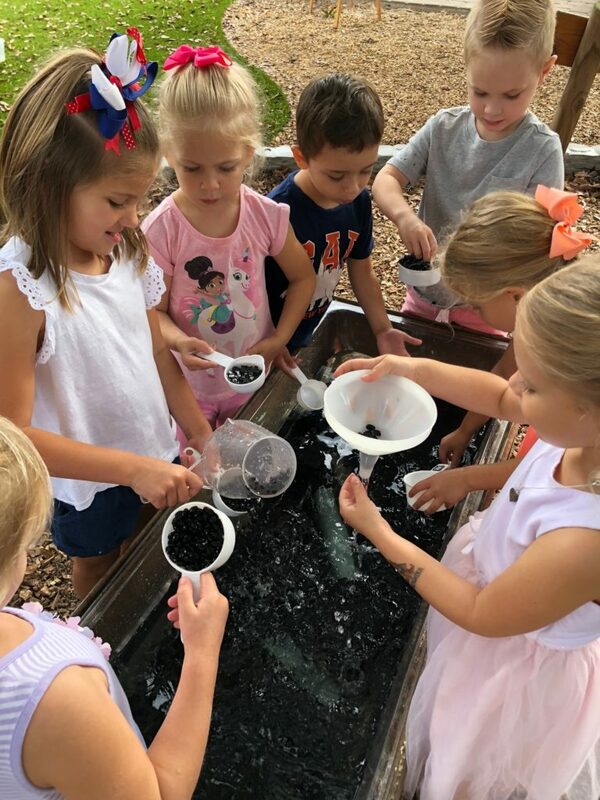 Nature/Outdoors: This might take a little extra planning, but if children are able to get messy while experiencing nature, this is the ultimate experience. Maybe let them jump in puddles or play in some mud after it rains! Or crunch the leaves or acorns that have fallen on the ground. Or plan a trip to the beach, where children are able play in the sand & water, while building sand castles and so much more!